This week the BBC department I work for is broadcasting a programme to mark Holocaust Memorial Day. One of the works being featured is by a composer who died in the Nazi Concentration Camps in World War II, which got me thinking about composers who perished in World War II, about whom very little appears to have been written. Perhaps the name most often mentioned is Viktor Ullmann (1898-1944), a composer of many operas and orchestral music who died at Auschwitz, but Wikipedia has a shockingly long list of composers who were killed by the Nazis; given the millions who died and the proud musical traditions of the countries they were uprooted from, it’s not surprising to find so much talent was lost. The composer Francesco Lotoro is working to reconstruct and transcribe pieces written by lost composers before or even during the Holocaust and has found hundreds of musical works of all written by people who were persecuted by the Nazis, some written in the direst of circumstances. The general ban on Jewish or ‘subversive’ music throughout Nazi-occupied territory took a dreadful toll. For example, Leon Jessel (1871-1942), the composer of the well-known piece of light music The Parade of the Tin Soldiers was a victim of Nazi torturers. There were also composers who fought in WW2 and were killed in action; Jehan Alain (1911-1940) was a French composer and organist best known for his fine organ works (as well as choral and chamber music). He was killed while serving as a motorcycle dispatch rider. Of British composers serving in WW2, Michael Heming, the son of the baritone Percy Heming, was killed at El Alamein in 1942; compositional sketches found in his papers after his death were arranged by Anthony Collins into a mournful orchestral work Threnody for a Soldier Killed in Action. Walter Leigh (1905-1942) was a skilled composer of varied works for orchestra, stage, solo instruments and for films. His characterful Concertino for Harpsichord has been recorded several times. He also composed a fun Gilbert & Sullivan-esque operetta called Jolly Roger, or, The Admiral’s Daughter. Both are available on Lyrita re-issues and worth seeking out. He was killed while serving in a tank regiment in Tobruk in 1944. While not strictly a classical composer, the famous bandleader and composer of countless Big Band standards Glenn Miller volunteered for the military where he put his skills to use in the Army band. The military plane he was travelling on board to entertain troops in France disappeared in December 1944. Finally, one of the most inspiring stories of music triumphing against the odds is the performance of Dmitri Shostakovich’s Symphony No 7 in 1942 by starving musicians during the Siege of Leningrad. This was recently the subject of a fine documentary on BBC Two called Leningrad and the Orchestra That Defied Hitler which features an almost unbelievable tale of how music can transcend adversity. I would be interested to hear of any other composers of World War II. George Butterworth (composer), private, Duke of Cornwall’s Light Infantry. John Coates (singer), corporal, Hampstead Battalion of the London Division of the National Reserve. A. J. Rowan Hamilton (composer), 2nd lieutenant, Irish Guards. C. A. Harrison, (Athol Yates) (composer), corporal, Empire Battalion of the 7th Royal Fusiliers. H. V. Jervis-Read (composer), private, Empire Battalion of the 7th Royal Fusiliers. Frank Lambert (composer), private, National Reserve, Class II. Douglas Sharpington (singer), private, 3rd County of London Yeomanry (Sharpshooters). Geoffrey Toye (conductor), private, Duke of Cornwall’s Light Infantry. F. B. Wilson, private, Duke of Cornwall’s Light Infantry. Warren Wynne, 2nd lieutenant, 4th Highland Light Infantry (Special Reserve Battalion). Of the names there, I recognise very few. Butterworth of course is well known, although it’s interesting to note Butterworth is a private in the Duke of Cornwall’s Light Infantry, his first posting, before he gained his commission in the Durham Light Infantry. F.S. Kelly the Australian composer, pianist and Olympic rower is discussed on the main War Composers site. Steuart Wilson was part of the same Cambridge circle as Kelly and Denis Browne, but wasn’t really a composer. R.O. (Reginald Owen) Morris (1886 – 1948) survived the war and is familiar as the author of several books on harmony and music theory, and listed Gerald Finzi, Michael Tippett and Constant Lambert amongst his harmony and counterpoint pupils. He also composed and arranged choral music, as well as writing a violin concerto and various chambers works. He may well appear on the site at some point. A. J. Rowan Hamilton is rather hard to track down. He was the dedicatee of an early Piano Trio by Arnold Bax, Lewis Foreman notes that the two composers visited Dresden in 1906-7 when the dedication is likely to have been made. However, the only published composition I can find for Rowan Hamilton is Meditation. “Lonely Longing.” for solo cello printed in 1917. Rather sadly, as with many composers on the site, this must have been posthumous as he was killed in action on 21st October 1915, and he is commemorated on the war memorial at St Bartholemew the Great’s Church, London. Frank Lambert appears to have survived the war. He was a composer of piano minatures and songs, some of which were performed in the early years of The Proms. He died in 1928. Geoffrey Matheson Gwyther attended Gresham’s School and then New College Oxford. Early in his career he wrote mostly songs, including a cycle of seven settings of William Blake’s Songs of Innocence. He fought with the Suffolk Regiment in World War 1, rising to the rank of Captain. After the war he became a theatre composer and actor – according to Philip Scowcroft’s Light Music Garlands his musical, Patricia ran for 160 West End performances in 1924-5. He was appointed director of the Comedy Theatre London in 1934. He later moved to the U.S., one assumes to pursue a Broadway career. He died in New York aged 51 in Ju1y 1944. This posting on YouTube may well be him singing circa 1930. H.V. 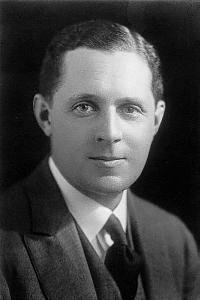 (Harold Vincent) Jervis-Read (1883-1945) also published a reasonably large collection of descriptive piano miniatures, a Piano Sonata and various songs, including settings of Rupert Brooke and Oscar Wilde. There is also a “Symphonic Ode for tenor solo, boys voices, mixed voices, orchestra and organ” setting of Francis Thompson’s poem The Hound of Heaven. Unusually, a collection of 350 of his private letters are currently for sale on Abe Books. If you’re a fan of British classical music, there really is something quite special about seeing the EFDSS’s Kinora film transfers of George Butterworth morris dancing. I remember the first time I found these while writing the first War Composers post about him I was absolutely astonished. I mean, these Kinora films date from 1912, so are over 100 years old; what are the chances of finding a moving picture, essentially a “home video” of a composer from that period? Rather than just a document of folk dancing techniques that the films were originally created as, I think the reason I find them so utterly compelling is that they remind us that George Butterworth was alive; not just a composer from 100 years ago but a sprightly, athletic young man with a sense of humour. That might seem an odd, even sentimental thing to say, but sometimes there is a tendency to look at a historic composer and his oeuvre rather dryly without considering the person behind the name or the music. That’s why when writing on the site I chose to refer to them by their first names or even nicknames when discussing biographical details (George rather than as “Butterworth” or Ernest rather than “Farrar”), and use surnames only for discussing their compositions. It might seem an odd editorial decision, and one that given the rigid etiquette of their time would probably have seemed inappropriate to them. However, by referring to them just by a surname it can turn them into just a name on a page, and if this website achieves anything I want it to remind readers that these were all people not unlike us with real-world concerns and aspirations. If you read the surviving diary accounts of George Butterworth going around collecting folk music, they’re actually quite funny. A friend of mine read the 1977 Russell Wortley & Michael Dawney article “Butterworth’s Diary of Morris Dance Hunting” and said she couldn’t help feeling it was bit of an excuse to cycle around the countryside visiting pubs, albeit all in a good cause of preserving British heritage. I think there’s a certain truth there, and his wry portraits of the old people he met in the pubs and their antics recreating dances for him to note down add to this feeling: I can almost imagine them being turned into a little TV play not unlike Alan Bennett’s A Day Out (1972) or even, dare I say, Last of the Summer Wine. If you do get a chance to read his morris dance diary, or just watch the Kinora films, I highly recommend them, as they turn George Butterworth into a person, as well as the composer of A Shropshire Lad. We’re now well into 2014, and as the centenary of WWI looms, I’m slowly adding pages about composers who fought in the conflict. However, finding information about some of them, especially those that have been largely ignored so far, is quite tricky for obvious reasons – whereas George Butterworth is well known, for example, it’s often while reading articles about these more famous composers that one finds a reference to another much more obscure figure. A good example is George Jerrard Wilkinson, a composer and folk dancer who was a friend of George Butterworth. Very little has been written about Wilkinson, or at least that I have found at the moment. So far, all I know is that he was born in 1885 and, according to Stephen Banfield in his Sensibility and English Song wrote some songs with “Edwardian charm”. He was part of Cecil Sharp’s folk dance demonstration side alongside George Butterworth. He’s the one on the far right of the photo featured on the Butterworth biography page. It’s always nice to put a face to a name. Following the outbreak of the war, he became a sergeant in the 16th Middlesex Regiment which was a signalling battalion tasked with storming Hawthorn Redoubt on the 1st July 1916, the first day of the Battle of the Somme. He was killed that day and is commemorated on the Thiepval monument. Via a forum post about the Middlesex Regiment, there is a posting of a scrapbook by a member of the regiment which features this rather good pencil sketch of the composer, which comparing it with the morris side photograph is undoubtedly the same man. It appears that an article “Unsung Hero: George Jerrard Wilkinson – A Beautiful Accurate Dancer” was written about him by Georgina Boyes in the journal English Dance & Song; Autumn 2012, Vol. 74 Issue 3, p20, mention of which is on this website. The abstract states that the composer’s father was vicar of St. John’s Church, Ladywood, Birmingham while his mother was the daughter of the Bishop of Brisbane. It states he studied music at Cambridge and worked with Cecil Sharp on arrangements of country dance tunes aged 19. This gives a useful clue to finding other information about him. For example, the Cambridge University connection yields that he was a student at Gonville & Caius College, as he is listed on their war memorial. In terms of original compositions works, nothing has been recorded that I can see. Titles of published works listed by the COPAC database of academic and research libraries include the Choric Song from Tennyson’s “Lotos Eaters” (1916) which is presumably his largest work, being scored for baritone solo, male chorus and orchestra, Four Songs about Children for voice and piano (1916), Nine Songs and Duets (1913), which are settings of various Japanese poems which the blurb claims he translated (was he a Japanese speaker, or did he translate the German? ), and “Suzette” a song with words by E. B. Piercy [?] (1916). Most seem to have been published in 1916 which implies a posthumous publication. Did he write any other music that was considered uncommercial to publish? All these songs are only available in the British Library, which itself tells me that they were not widely disseminated; the BL is generally a “last resort” for inter-library loan requests as they are a place that often holds the only surviving copy of certain scores. While this is unlikely to be true for Wilkinson, certainly his works are not really known at all. UPDATE: I have now posted an article about G J Wilkinson on the main site. This is the blog attached to the website www.warcomposers.co.uk, which as the name suggests is a website looking at composers with a connection to the First World War. Despite the title of the website, I have been trying not to make it a site about the War. Plenty of military and social historians have already done that, and much as WWI is the thing that ultimately binds this collection of young musicians together, the war is almost always a small percentage of their lives, and with a few exceptions the one time when they were not involved in music-making. Whereas the war seemed to bring out an extraordinary flourish of poetry, one can only imagine how much more difficult it would have been to write music under military conditions. This what makes those rare examples of compositions written at the Front – including pieces by Frederick Kelly, Cecil Coles, Ivor Gurney, Ernest Farrar – even more penetrating. This blog is intended to feature some of the highways and byways of the research on this project, with mention of things that are perhaps related, interesting facts, updates, and questions that readers may be able to help me with.